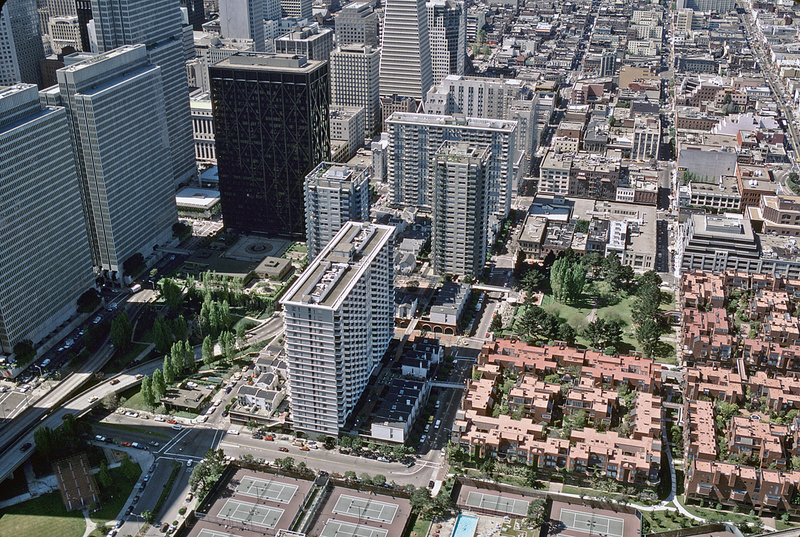 Begun in the 1960s on the site of San Francisco’s former wholesale produce market, this ten-acre redevelopment project generated shops, office space, 1,400 housing units, and a series of second-level plazas and pedestrian bridges separated from automobile traffic. 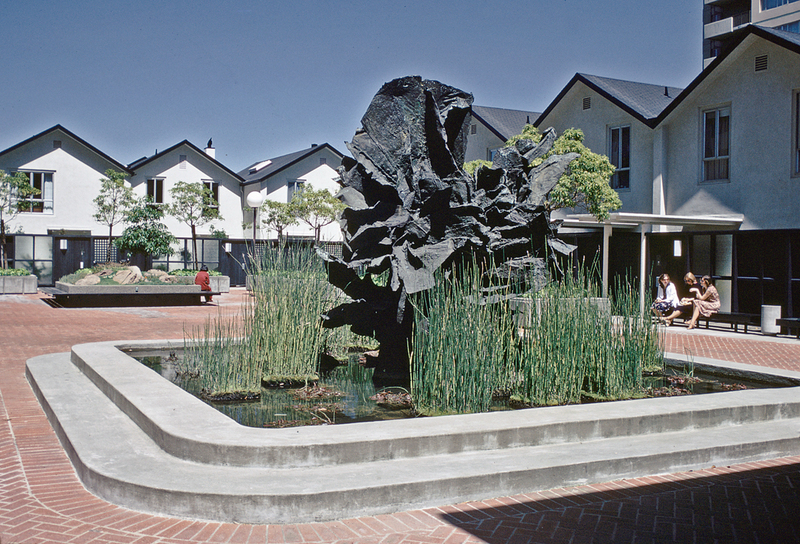 It was designed by landscape architects Sasaki, Walker and Associates in conjunction with architects Wurster Bernardi & Emmons and DeMars and Reay. The residential project, Golden Gateway Center, occupies the northern side of the development and was completed in 1967. It consists of two 22-story buildings, two 25-story buildings, and 58 townhouses. The high-rise housing units are constructed over two-story garages covered by landscaped plazas, which are accessible from the residential structures via pedestrian bridges. The 24-story Alcoa Building, completed in November 1967, contains approximately 400,000 square feet of office space and a public parking garage. 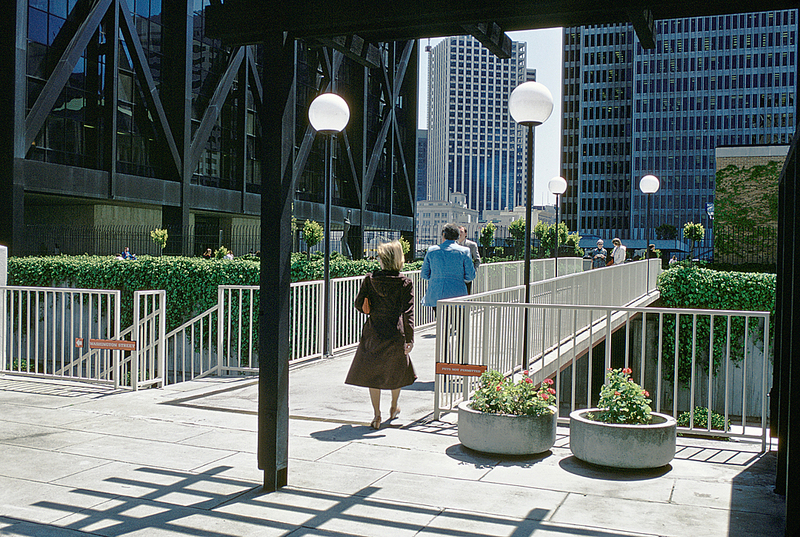 One Maritime Plaza, a two-acre landscaped space surrounding the Alcoa Building, was dedicated for public use in 1968. 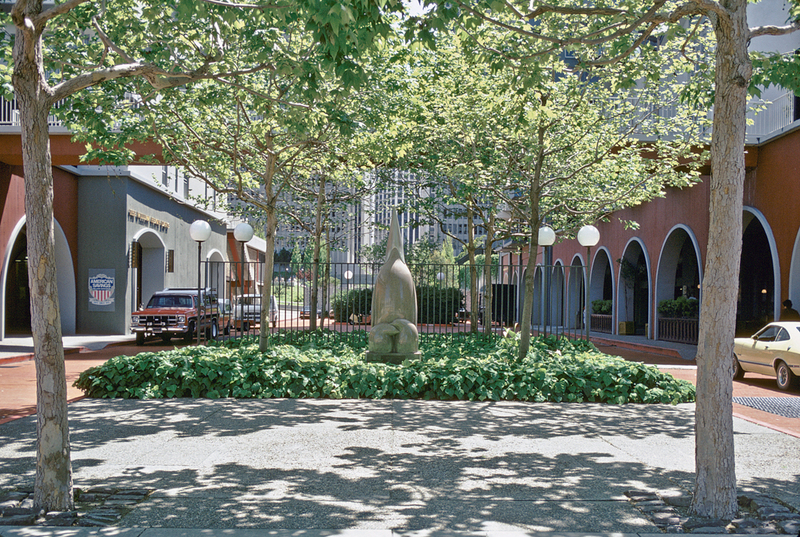 The plaza contains two single-story structures and is connected to Golden Gateway Center and Embarcadero Center by pedestrian bridges. The Embarcadero Center, on the south side of the development, includes four office towers and a hotel built between 1968 and 1983, as well as later commercial development west of the original site and east to the waterfront. Justin Herman Plaza, formerly known as Embarcadero Plaza, includes more than twelve acres of open space and a signature fountain designed by Armand Vaillancourt. Sydney G. Walton Square, open to the public, is a private two-acre park situated at ground level in the center of the development.